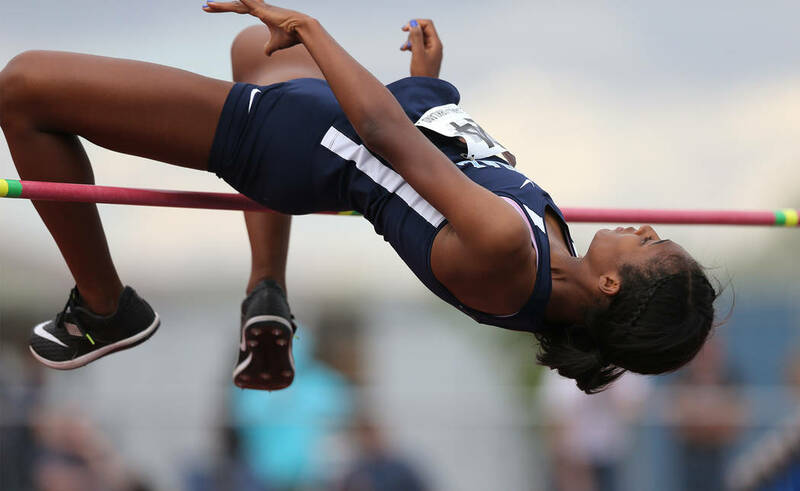 Centennial leads the girls team standings while Bishop Gorman leads the boys. CARSON CITY — Rancho’s Class 4A state championship 800-meter relay combination of Skylar Savage, Aniya Smith, Amir’a Edmond and Jordan Davis hadn’t ran together until Friday. The Rams foursome completed the race in 1 minute, 39.64 seconds to win the Class 4A state championship for the second consecutive year, and set a stadium record at Carson High School on Friday afternoon. 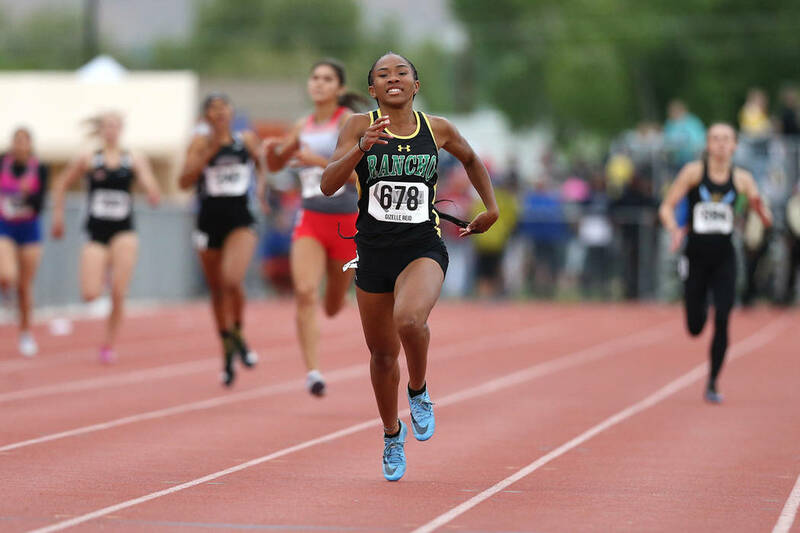 Rancho had posted a Nevada record 1:37.21 earlier this season, but sprinters coach Fredrick Morrison opted to replace top runners Gizelle Reid and Teleda Williams with Savage and Smith. The new duo built a sizable lead, and regulars Edmond and Davis pulled away during the final lap to win by roughly 30 meters. Reid and Williams sat out the relay to focus on their individual events. Reid won the 400-meter dash in 54.75 seconds, and Williams won the 200 in a meet record time of 23.85. 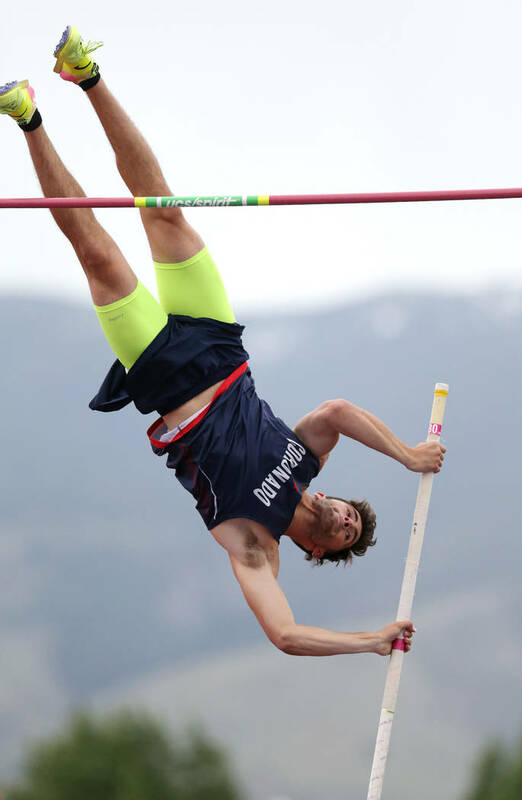 The Rams are in second place in the team portion of the meet behind Centennial, which has 46 points and has won the last seven Class 4A state championships. Liberty, in fourth place, is the third among local programs. 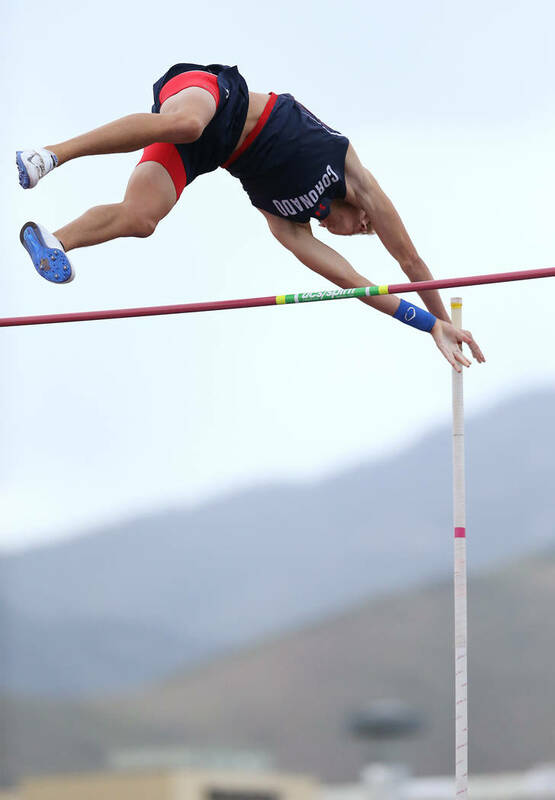 Other local champions included Eldorado’s Mohn’Ai’ Roberson in the long jump (18 feet, 9¾ inches), Liberty’s Athiya Iese in the discus (128-4) and Silverado’s Grace Cunningham in the high jump (5-4). Both the Bulldogs and Rams are in prime position to earn more points tomorrow with multiple athletes in multiple events. 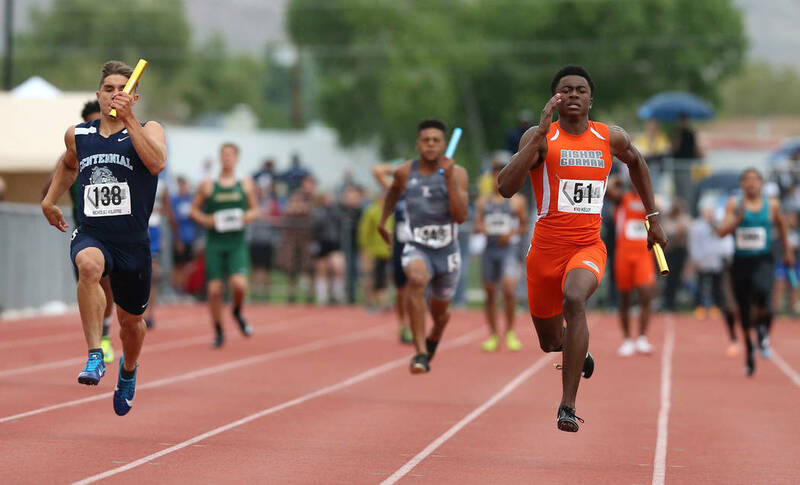 Bishop Gorman senior sprinter Jalen Nailor won two state championships Friday. One was close. One wasn’t. 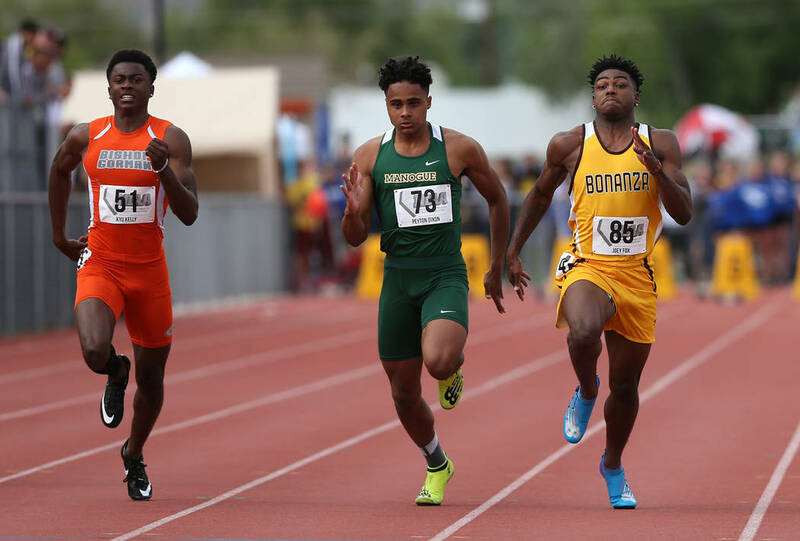 Nailor completed the race in 10.7 — one hundredth of a second faster than Bonanza’s Joey Fox — to win the Class 4A state championship via photo finish. An hour later, he teamed with JoJuan Claiborne, Jordan Lee and Kyu Kelly to win the 400 relay in a personal-record and stadium-record time of 41.46. Nailor, running in the first lane during the 100, ran stride for stride with Fox and edged him by a nose. He didn’t know he had won, he said, and credited the victory to his technique. He’ll run the 200 and 800 relay Saturday for the Gaels, who are leading the team portion of the meet with 51 points. 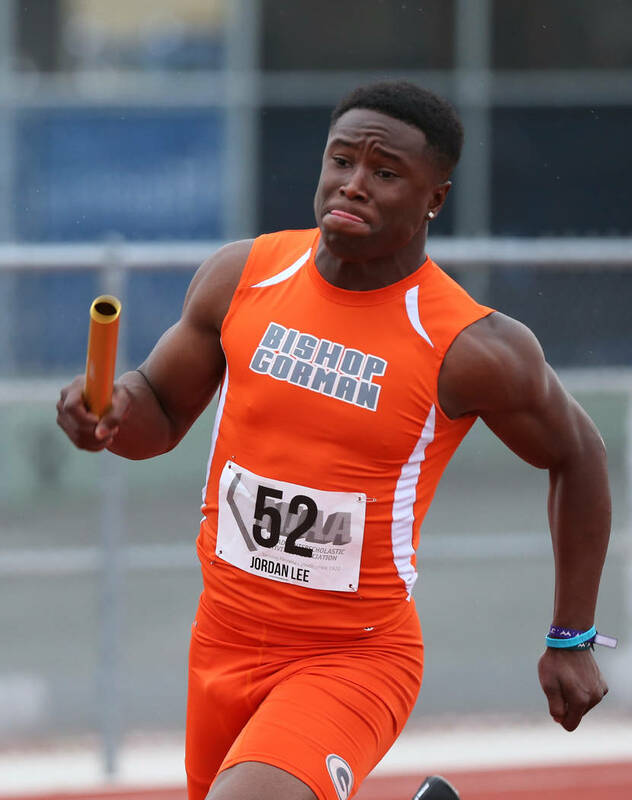 They’ll have a chance to add to their lead Saturday in the sprints, the jumps and the throws, all of which feature top Gorman athletes. 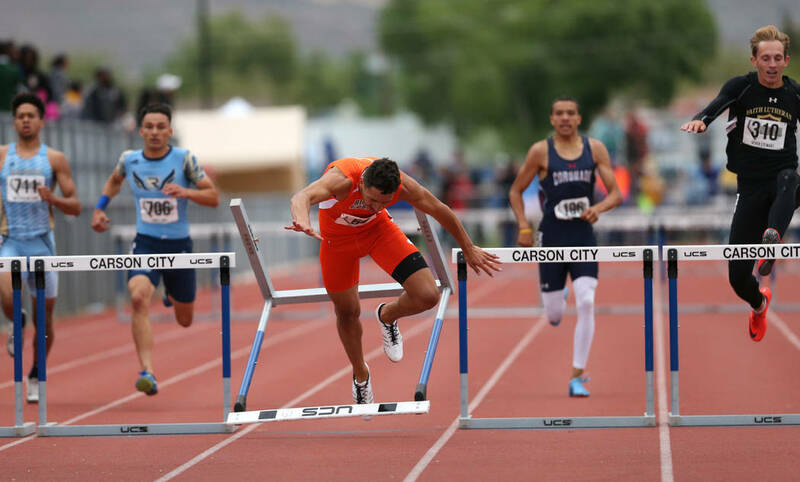 Other local champions include Gorman’s Cam Hunterton in the triple jump (45-5), Faith Lutheran’s Sever Stewart in the 300 hurdles (39.52), Green Valley’s Martin Nelson in the 800 (1:56.26) and Silverado’s Omar Aguilar-Espinoza in the 3,200 (9:39.64).